Here at Cremation with Confidence™, one of the most common questions asked of cremation providers is this: Can our family still have a funeral or memorial service if our loved one chooses cremation? In a word, yes – and especially when you choose a Cremation with Confidence™ provider. You can celebrate a loved one’s life in many and varied ways that are highly personal before or after cremation occurs. A simple, direct cremation is not best for everyone. In fact, it’s not best for most people. Having some kind of service that honors the loved one can be an important role in the grief healing process. Cremation also does not limit your ability to spend time with your loved one who has passed away. Some families have a funeral service prior to the cremation, with their loved one present in a rental casket. 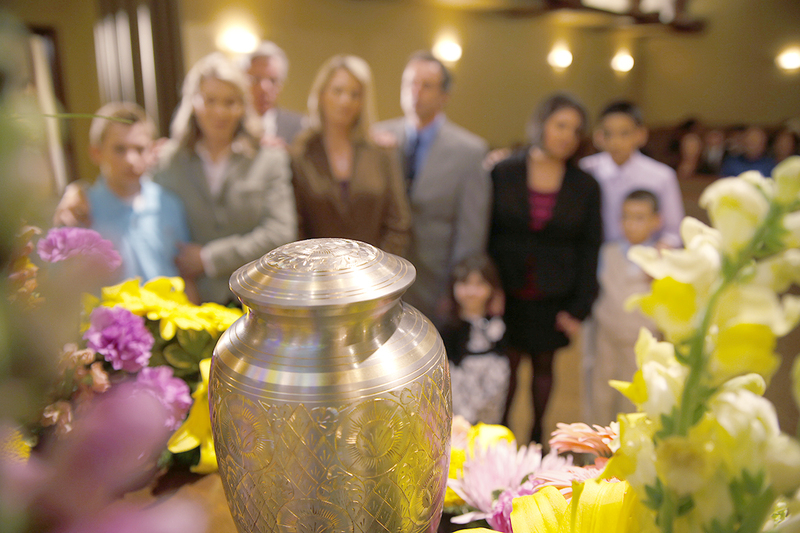 Other families spend time privately with their loved one before the cremation begins, followed by a public ceremony at a later date, which may or may not include the presence of the cremated remains. Both services can resemble a traditional funeral, with elements such as opening greetings, prayers, eulogies, and meaningful music or readings. A reception to follow provides additional opportunities to connect with friends and family and gain support from one another. You can choose to have the service at the funeral home or wherever your loved one is being interred or scattered. No matter the type of service your family selects, the most important decision you make is your choice of cremation provider. You want to be sure your loved one is treated with the utmost dignity and respect. This is the assurance Cremation with Confidence™ offers. Cremation with Confidence™ providers pledge to abide by a strict ethical code and perform cremations according to an exclusive 10-step process. This system of checks and balances offers families peace of mind that their loved one never leaves the care of trusted funeral professionals. There are far too many heartbreaking stories reported every month about families who suffer heartbreak after a cremation mix-up. The bottom line is this: No family should ever have concern about their funeral home and cremation provider. Before selecting a provider, we encourage you to start by talking to the exclusive Cremation with Confidence™ provider in your area, and learn more about why the Cremation with Confidence™ Guarantee is so important. Your family deserves peace of mind during this difficult time. We’re here to make sure you find it.